Calum first visited Toronto in the summer of 2001, traveling with a school friend and staying with the friend’s aunt and uncle. After getting what Calum thought was enough experience in his chosen field he applied for a visa and hopped on the first possible plane. “I haven’t looked back since,” he says. Calum’s life is here now – explaining how he feels like a Blue Jay, a Leaf, an Argo, a Raptor, and even a Rock! 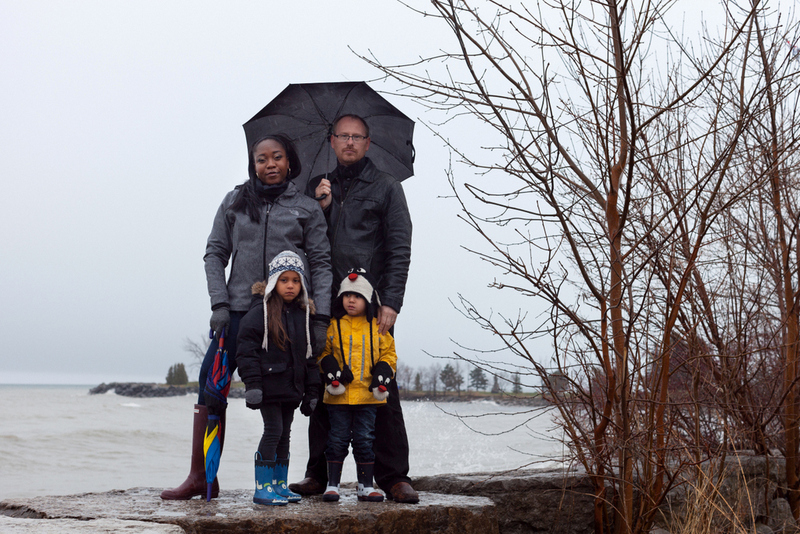 He has built a career in Toronto, working as an associate producer with the interactive team at CBC and his best friend from University now lives here as well. 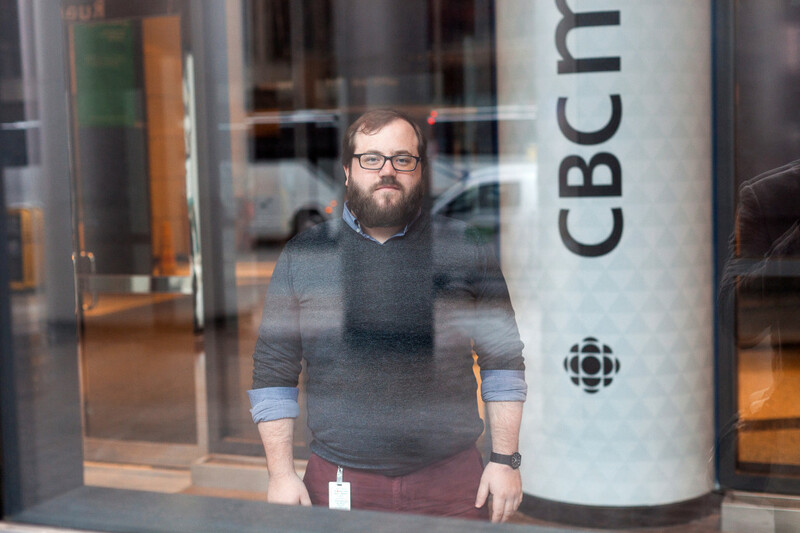 The CBC is a special place for Calum. He was amazed how within a few months of living in Toronto he was able to turn an internship there into a job – the job that had been the ultimate goal. He says there’s nothing more Canadian than the CBC. While Calum felt a little bit like an impostor at first, in the end it’s made his bond with Canada ever stronger. It’s where Calum has met most of his friends and where he spends the majority of his time. Calum has always had his Aberdeen Football Club scarf within him in Toronto. 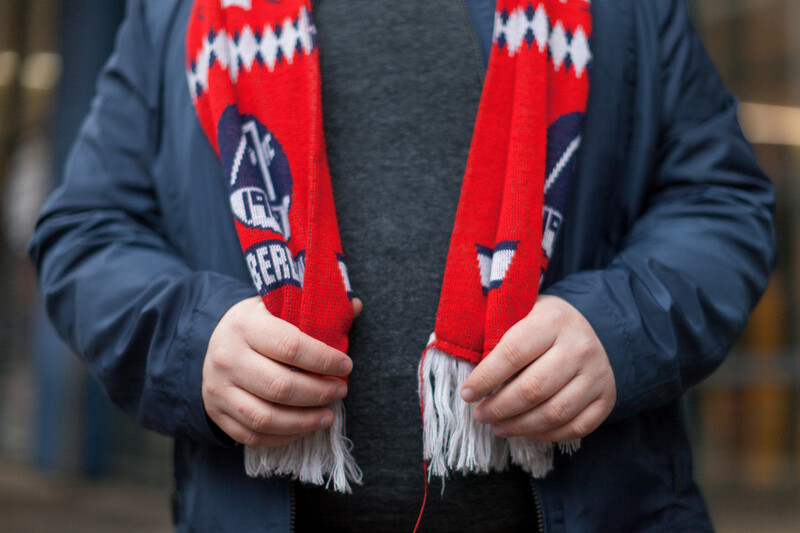 A football scarf might be seen as trivial, but when wearing it, he feels like he’s the only person in Toronto that has a clue what it represents – which he knows is wrong, but he feels that way. Calum’s love for Aberdeen comes from his father, whom he saw cheering for the “red team” at a young age. Ever since then, it was the “red team” that was the good team. Following Aberdeen, Calum travelled Europe and made some lifelong friends. The scarf—the first bit of Aberdeen memorabilia he ever got—will always remind him of that trip, just as getting up at “silly o’clock” every Saturday morning to listen to the games back in Scotland, will remind him of home.